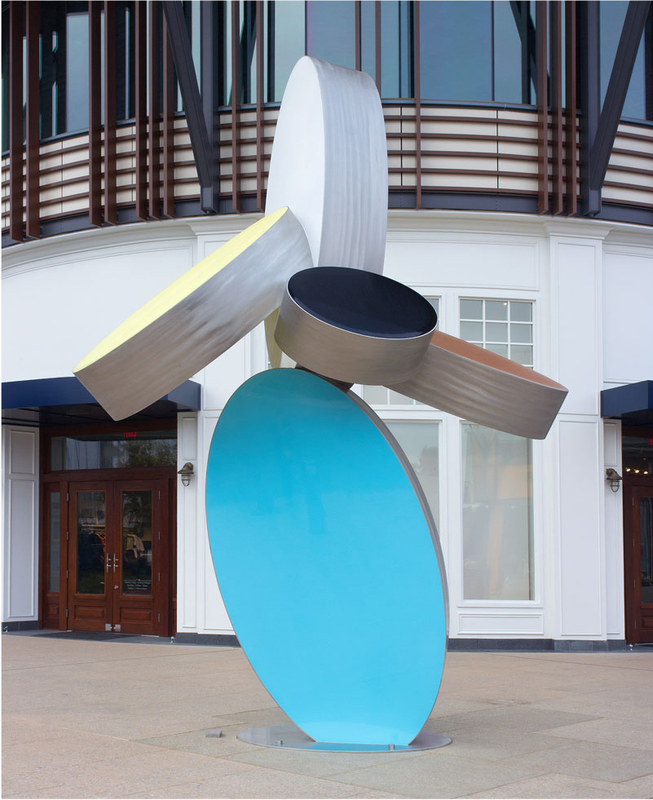 When restoring the iconic Stanford Shopping Center, developers engaged Chandra Cerrito / Art Advisors to manage the selection, design, city approval, commissioning, and installation of public art. After walking the site and reviewing plans for the major renovation of buildings, pedestrian areas, and gathering spaces, the team identified two primary art locations. From a pool of dozens of qualified artists, the team selected Brad Howe to create site-specific sculptures that complement the scale and viewing experiences of each location. Intended to be a major monumental work with exuberant qualities, Qualia invokes movement, music, and playful logic. Derived from the architecture of plants, principally succulents, and painted with bright optimistic colors, the piece stands as a welcoming figure to the retail complex and an easily identifiable landmark for congregation. 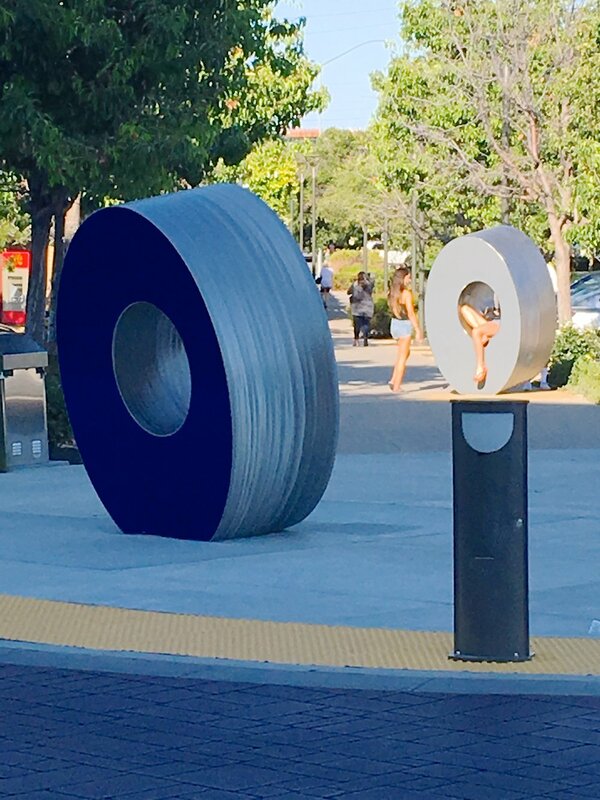 Semillas (“seeds”) is a five-part sculptural installation that greets visitors approaching the shopping center on foot or bicycles from the nearby commuter train station. The large ovals are archetypical forms of nature: seeds, fruit and stones. Arranged like the stones of a zen garden they serve as markers for physical movement through space and offer quiet gestures for contemplation.